Pay the parking meter, but do something more interesting with the space than park a car. How about a barbecue? I visited this temporary park when it came to part of Holly Street in Bellingham. This happens in other cities as well. 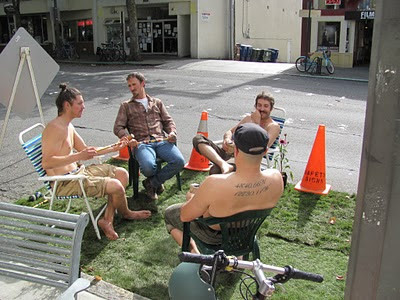 See Parking Day web site. 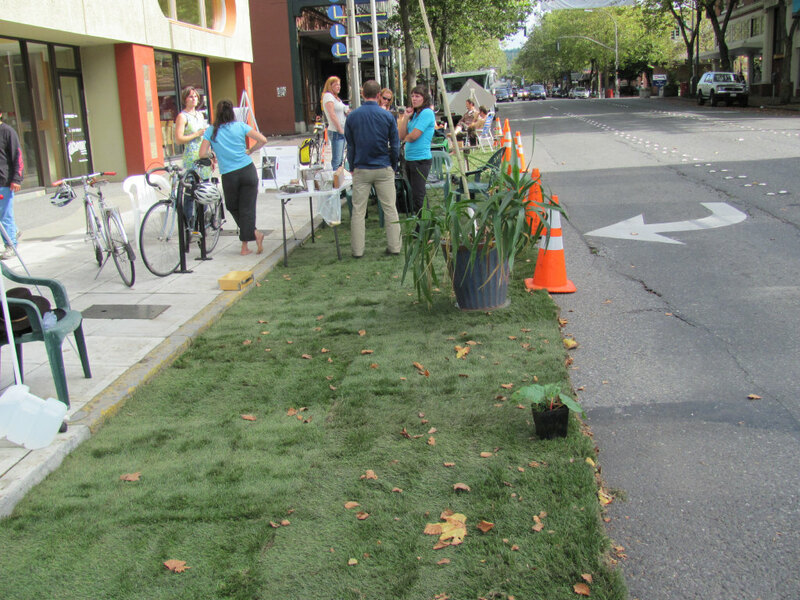 Bringing nature back to pavement is a clever idea, but AstroTurf or carpet might work better. I noticed the sod smelled like silage. Maybe because drainage isn't that good on pavement. Carpet would be easier to roll down as well. I hear someone bought the sod after last year's Parking Day in Bellingham.